Oja, described by late prof. Chinua Achebe in his things fall apart as the voice of the spirit of which only the supernatural could dictate the meaning of its tune. ỌJA cultural festival is a cultural development initiative founded to promote and showcase the cultural identity and heritage of Igbo people to the world. 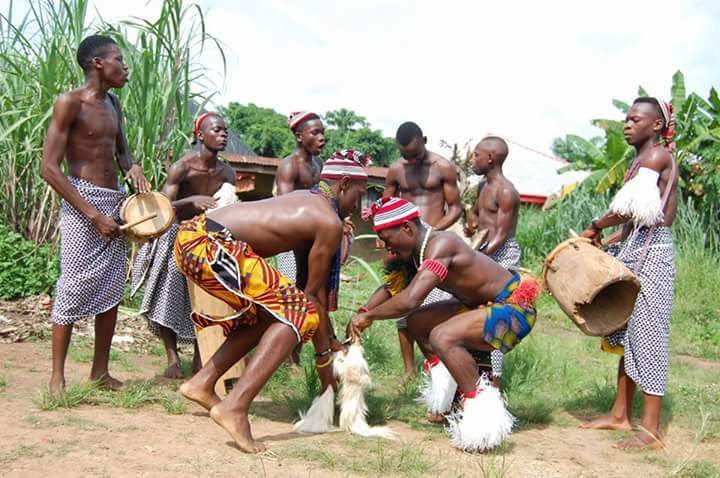 The aim of Oja festival is to reawaken the Igbo culture consciousness especially among the children and youths, promote and showcase Igbo cultural heritage as a people to the world through different cultural expressions, To revive and preserve the good values, cultures and traditions Igbo people, in promoting Unity, Strength and Relevance. Venue: Lady Ibiam girls secondary school ESBS bus stop Independent Layout Enugu. To promote the traditions/cultures that binds us. To form a network between the old and the young. In our bide to Impact, Connect, Celebrate, Penetrate, Encourage, Educate, the young on the beauty of our cultural heritage and values; We designed different programmes and activities for both the young and the elderly. Our programmes for children ranges from workshops, one on one mentorship, motivational talks to the big ỌJA Cultural festival that comes up yearly. It was done in 2015 and also 2016, 2017 is drawing near and would take place in the month of October. ← Yankari Game Reserve, The home of wildlife in Nigeria. Catch them young. Kudos to the organizers. Great way of promoting and preserving the Igbo culture.